Looking for a new way to jazz up your side veggies? 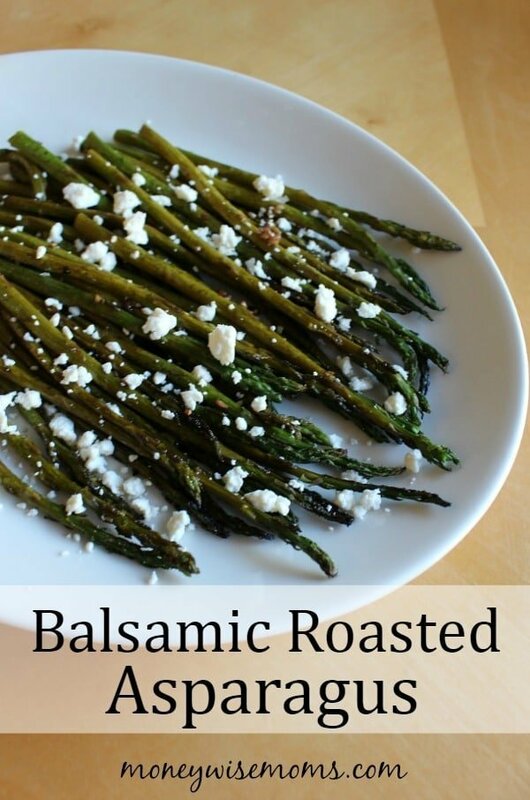 This Balsamic Roasted Asparagus recipe is easy and only takes a couple minutes to prep. You’ll love the flavor! Lay asparagus in single layer on cookie sheet. In a small bowl, combine garlic, vinegar and olive oil. 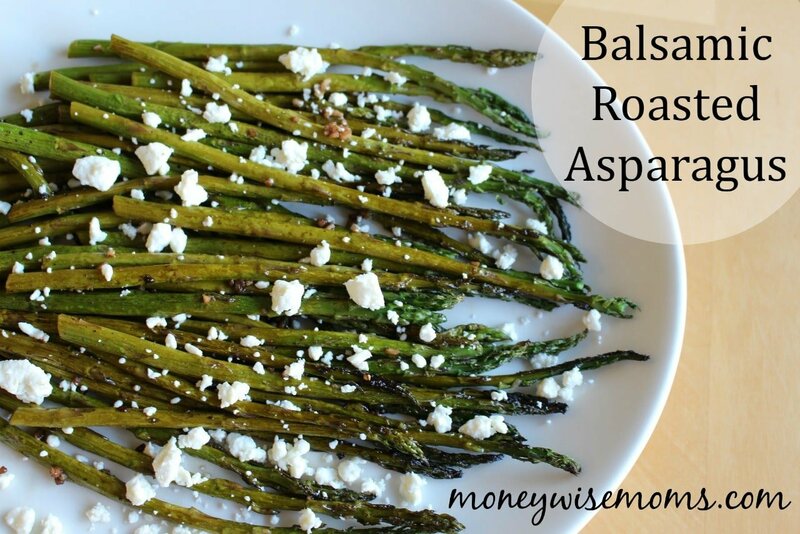 Sprinkle over asparagus, and roll asparagus in liquid to coat. Sprinkle asparagus with pepper and salt. Roast for 10-13 minutes or just until tender. Remove from oven and sprinkle with feta cheese. This side dish makes the perfect complement to any Sunday dinner or holiday meal, since it’s pretty enough for company (but easy enough to make on a regular weeknight). 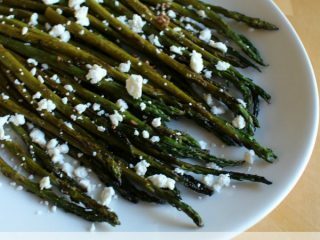 What is your favorite way to prepare asparagus? Linked up to Pin Junkie Pin Party at Pin Junkie, This is how we Roll at Organized 31, What’s Cookin’ Wednesday at Buns in my Oven, Creative Muster Party at Fluster Buster, DIY & Recipe Linky at The SITS Girls, Brag About it at VMG206, Create Link Inspire at Naptime Creations, Totally Terrific Tuesday at Live Randomly Simple, Over the Moon at Marilyns Treats, Made by You Monday at Skip To My Lou, and Melt in Your Mouth Mondays at Make Ahead Meals for Busy Moms.